Purchasing a home gym can be a huge experience for most people to handle. And then there are other factors that you should consider such as budget, space and which model suits your needs. With more people becoming conscious of their health and weight, it is important for us to look at the easiest ways to get the health and weight people crave for without sacrificing a lot. One of those ways is investing adequate time to working out using the best machines available. Among these machines is the Marcy MWM-990. In this article, we will review the wonderful Marcy MWM-990 machine and see why you should invest in it. The Marcy MWM-990 is a gym machine designed for home use. With this machine, you can perform about thirty exercises to get your upper and lower body in shape. This model is made of steel and its weight material has been rubber coated. Some of things that are included to help you get started on your workout program effortlessly on this model are ankle strap, bar and link chain. You do not need to go to the gym several times a week to have a workout. 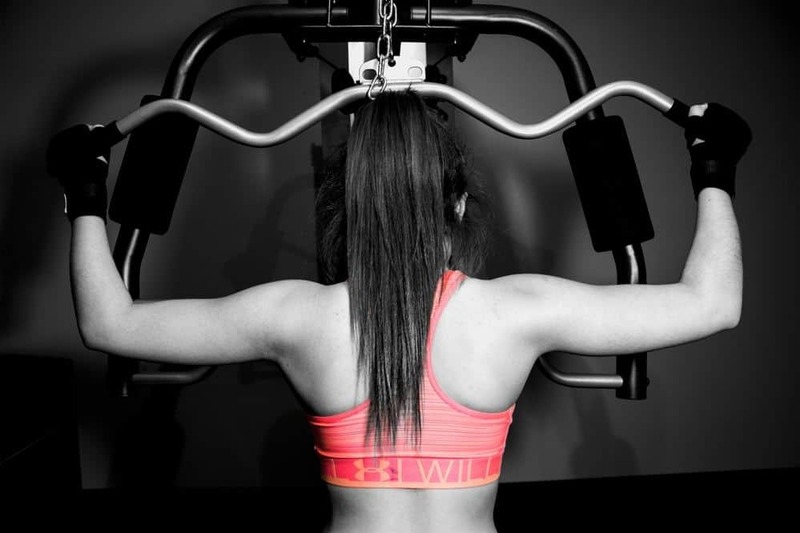 You do not need a trainer to tell you how much you should be working out. With the Marcy MWM-990 Gym Machine, everything is sorted out for you. With this all in one gym machine, you get to have almost thirty training exercises for your entire body. This gym machine has been manufactured using heavy duty steel thus enhancing its durability and increasing the variety of exercises to ensure you get a full workout. The machine has been built with precision and quality. Most users have reported a feeling of confidence and surety when working out on this model. By using the Marcy MWM 990, you can be sure that toning and building your muscles will be easier and convenient for you on a daily basis. This gym model offers the user almost thirty strength training exercises for the abdominals, chest, arms, lats and legs. The 150lb selectable weight stack offers good resistance and as much weight as you look forward to in the price range of a machine like this one. If you want more weight, there are varieties of gym machines out there such as the Weider Home Gym which provides a greater resistance. Isn’t it great that you can find a complete home gym in the price range of this model? You can get your own home gym for the price of a yearly gym membership and in some instances less. 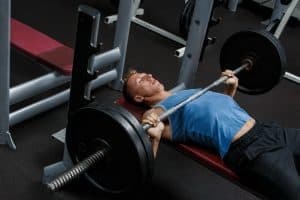 This means that crowded gyms or all the stares from people around you or waiting for someone to finish using an equipment will be things of the past. When talking about durability, this model does quite well owing to the fact that it comes with a standard warranty of two years. It has a super strong steel frame that weighs up to 217 lbs when it is fully assembled. When the model is fully assembled, it will be difficult for you to move it from one place to another. The Macy 990 MWM is a simple and basic home gym that is beneficial to all the people who love going to the gym. This model comes with a variety of descriptions and images thus making it easier for users to navigate and familiarize themselves with it. Further, the attachments are created similarly to bigger box gym equipment. Therefore, anyone who has ever worked out at any gym in town or used such machines before will not start learning afresh. 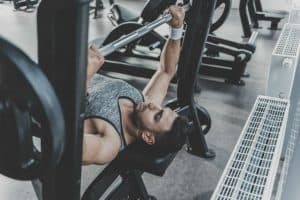 A strong athlete or a bodybuilder may not get enough resistance out of this model due to the fact that it has a limited weight stack but a beginner can really benefit from the resistance this machine has to offer. When compared to other home gyms, the Marcy MWM-990 is quite adaptable and easier to use. The only disadvantage that comes with this model is its limited weight and height. Taller or heavier people may have a hard time using it because the manufacturers made this machine for the person with an average height and weight. So someone with a height of 6’1” and a weight of 300 lbs may have a difficult time operating this machine. This is one of the best machines in the market that you get quality services at a low price. 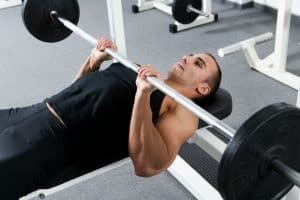 Most gym machines are very expensive and that forces us to go the gyms we do not love and stand the embarrassing stares we normally get on a daily or weekly basis during our workouts. This model can be named as a medium versatility machine because it offers over thirty different forms of exercises. Most users love this fact about the MWM-990. Obviously, it cannot be the best in this industry just because of that but it is a huge plus. If you are the kind of person who is focused on working out a specific body part or muscle, or an entire body workout, then this machine suits you well. This model is great especially when it comes to saving room space because it does not require an entire room to operate. You only need a length of 68”, width of 36” and a height of 79”. Additionally, you need some space around it so that you can do your workouts with no stress. For someone with a limited space, this machine is suitable for him or her. Once you have completed assembling it on your preferred location, note that it will be difficult to move it to another location. The current price of the Marcy MWM-990 starts from $399.00. For a basic workout machine in the market today, this is a good price. The machine offers around thirty exercises and comes with a warranty of two years. The price of this model is wallet friendly. Further, it is a great machine because you get to buy all the pieces of equipment once unlike other machines which force the user to buy pieces of equipment more than twice. Once you purchase this machine, you get a standard two years’ warranty on the frame of this machine. 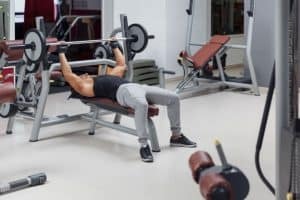 This warranty period is usually a set standard in the industry when it comes to the lower priced and versatile gym machines. It is a good warranty with regard to the price you have to pay to have this model. Additionally, the two years’ warranty is extendable if you take good care of your machine. Normally, a home gym machine takes up a huge space but not the Marcy MWM-990. It has a compact design therefore; it is not long or wide. It has a footprint of length 68” by width 36”by height 39”. Keep in mind that you need some space around the machine so that you can use it comfortably. Yes, the Marcy MWM-990 comes with a reader’s manual but assembling it is not an easy task. Many users have reported that the instructions are not straight forward or easy to understand. Further, you need to have your tools in place such as wrenches which obviously are not included in the package. For many users, it takes a couple of hours to assemble the machine completely. It is also difficult to assemble it alone. You need ideally one extra person to help you with this. The good part about assembling this model is that there are usually no missing body parts such as nuts, washers and bolts. The Marcy MWM-990 has a resistance of 150lb. This means that professional athletes and bodybuilders will not benefit so much when they use this machine. 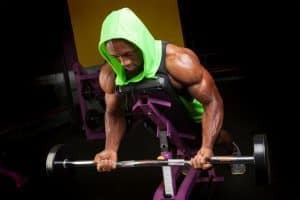 In fact, most trainers advise professional athletes and bodybuilders to go for other brands that will continuously improve their shape and the strength of their bodies. This model is also not ideal for people who are taller than 6 feet. Why? You may ask yourself. People who are taller than 6 feet will not benefit from this machine because it was designed for the person with an average height and body size. A heavy person might have a difficult time using this machine because the dual press arms are quite narrow thus making it uncomfortable to use. People with long arms will also not benefit so much because of the limited motion range of this machine. Maybe they assumed that tall people do not work out at home or heavier people should go to the gym to get a professional trainer advice. All in all, everyone needs to work out at home whenever they want and that is something Marcy should put in mind the next time they are designing the next model. The Marcy MWM-990 is an awesome weight-stack home gym piece equipment for anyone who loves working out. It offers a wide variety of exercises that you mostly do in the gym. You will not need to go the gym and wait for a machine or even ignore all those stares. So, is working out with the Marcy MWM-990 better than a going to the gym? Yes! It is so much better than the gym because you will be working out at your preferred location at home. 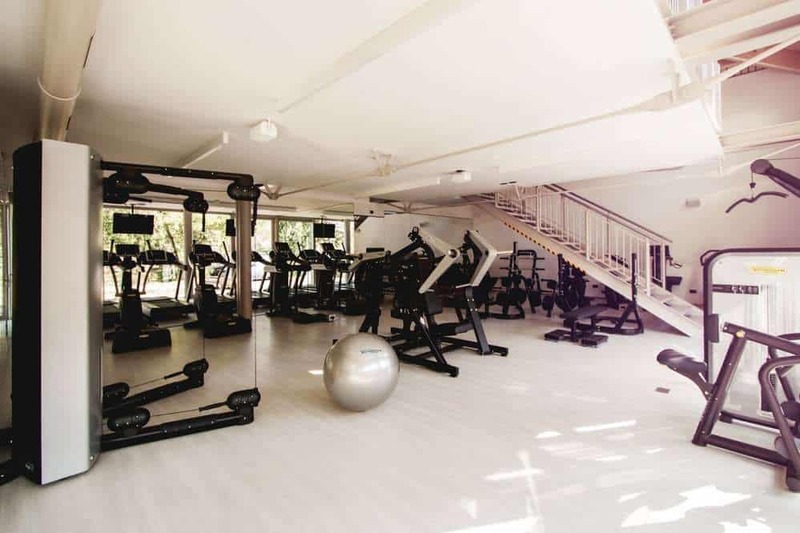 You will definitely feel comfortable working out from there than the gym. The good thing is that your body never knows which type of machine you are using or where you are working out at. So long as there is resistance, your body will grow and become stronger. It does not matter whether you are in a gym, outside or at home. The only one thing that a gym has that you do not have at home is competition and company. 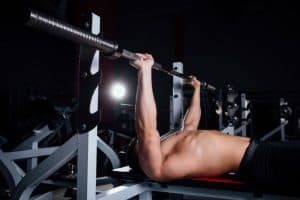 If you have no problem working out alone, then you should go for this model. The price of this machine is reasonable when you consider what it has to bring to the table. The one aspect that needs to be improved on this model is the limited weight and height. The strong professional athlete or bodybuilder may not benefit so much from this machine. But as a beginner, this machine is ideal for you. If you are a skinny person and you want to get in shape and pack some muscles, then you should go for this machine. If you are overweight and you want to slim and get stronger then you should buy this machine. Nothing is more important than your health. Without health, there is nothing we can do on this world. You know what you should do to be healthy and vibrant. Buy the Marcy MWM-990 today and get that perfect body shape and muscles you have always wanted.